Use this pillow insert anywhere in your home that may need a pillow... couch, love seat, beds, day beds, reading nook. Proudly Made in Palmetto, GA USA from American Fibers and American made shell - Support American Manufacturing! 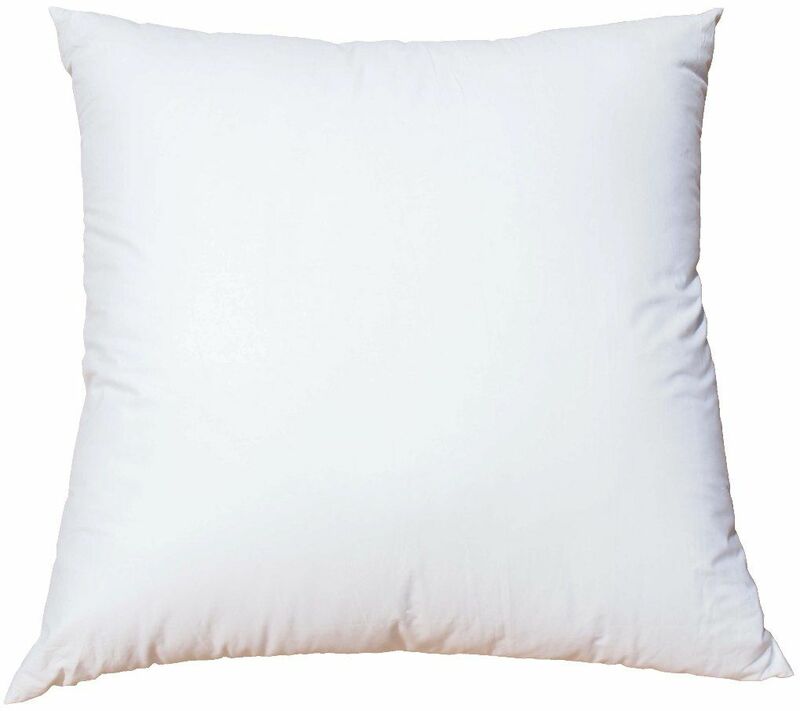 Karate Chop - This pillow is ultra soft and has the traditional karate chop look that comes with natural down. 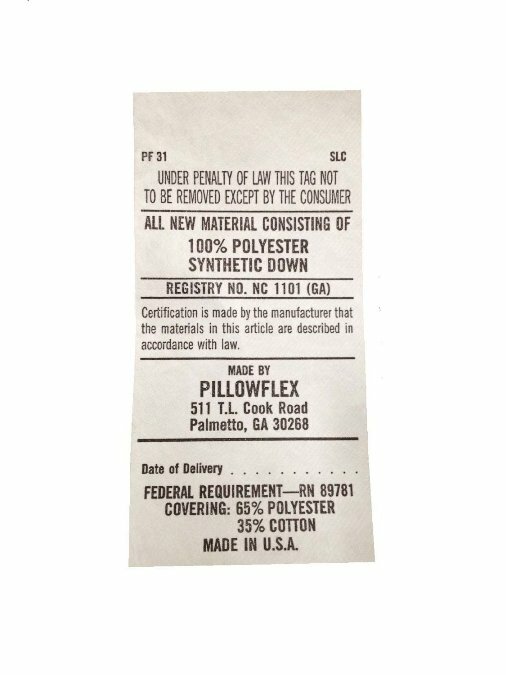 I have purchased the pillowflex down alternative pillow inserts and I love them. If you follow the directions for sizing you will get a nice plump fit and this material holds the chop if you are looking for that...just be sure that your cover is not too snug. The insert cover material is white, very smooth and tightly woven so it easily slides into the pillow cover. There is no odor. The filling extends to the corners for a nice full look. I put mine in the dryer on air fluff for ten minutes and it puffed right up. Highly recommend these inserts. I plan on buying them for my pillow covers from now on. 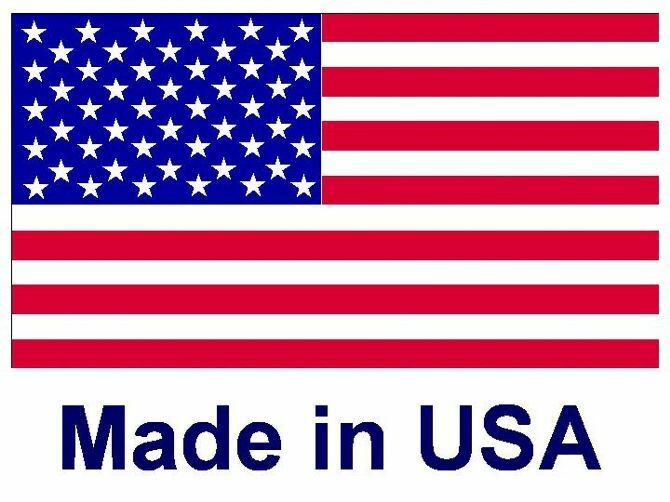 Made in USA is a priority for me and Iâ€™m thrilled to be able to purchase such excellent quality. If you purchase one of these you will never go the cheap imported route again! I love these pillows! One thing I do wish is that on all of your pillows, there would be sizes on the tags. We have to measure them if they get mixed up and have accidentally sent out wrong sizes to customers. I noticed that all of our pillow inserts that we have used from other companies include this so it would be nice to add sizes to these as we have now exclusively started selling your pillow inserts. Thank you so much! I love your synthetic down alternative pillow fills! 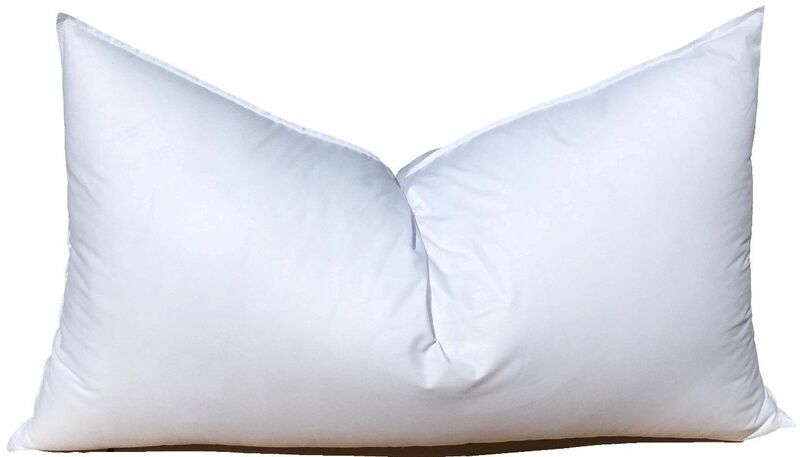 They are perfect for my product and I always get fabulous response from customers who lift my pillows - they love how heavy they are - they are the best! Nad otheyhold up forever! Love them! Thanks for working with me and helping me launch my dream! 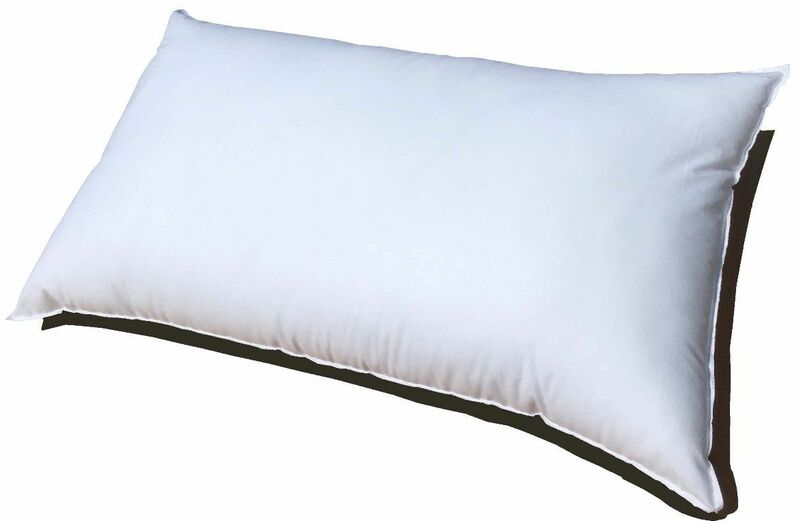 Pillowflex is always reliable and timely. They provide great service and we can always depend on them for a consistent, quality product! We are glad to be working with them for over 4 years. These pillows feel amazing! They have a gel-like texture and the quality is superb! 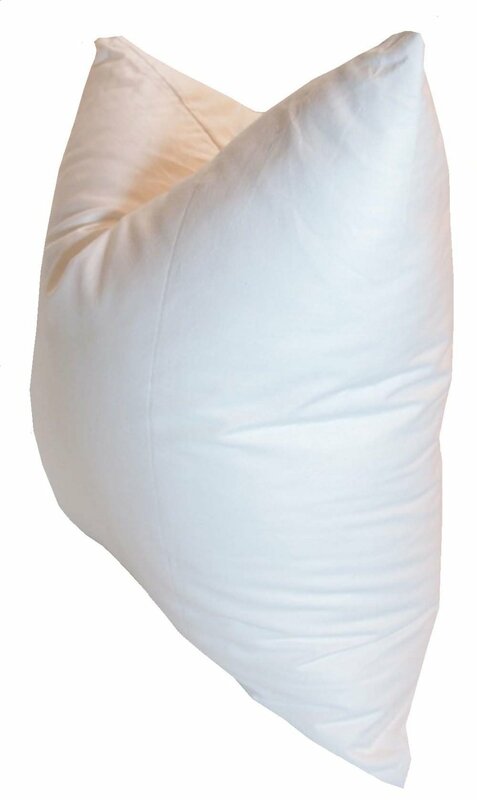 I'm so happy to support an American based business and that's exactly why we order from Pillowflex. I love the synthetic down inserts, have never had an issue! They come packaged well and my customers LOVE the no-pokey feathers. These inserts have a great weight and karate-chop look! Great quality synthetic down pillow insert. These inserts have a great weight and hold their shape nicely. Though, I have not washed them, it is a plus that they are washable. The Synthetic Down inserts are GREAT quality! Great feal and all around attention to detail. Plus, great customer service and fast shipping to boot! Highly recommended! 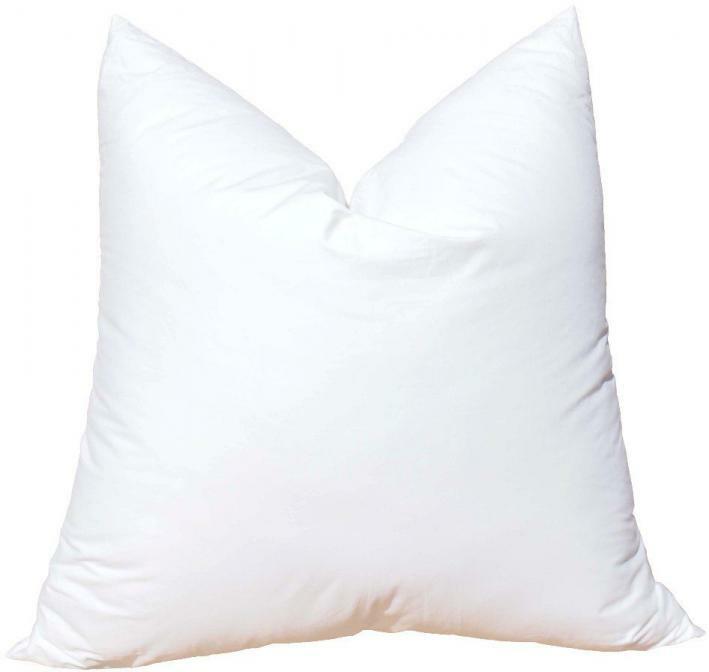 These pillows are weighty and full. You still get the 'karate chop' effect that you get with a true down/feather pillow. This has become one of our favorite inserts. I love these pillows and my customers do too! They always fluff back up and feel expensive (but they are very affordable) I will definitely buy more!